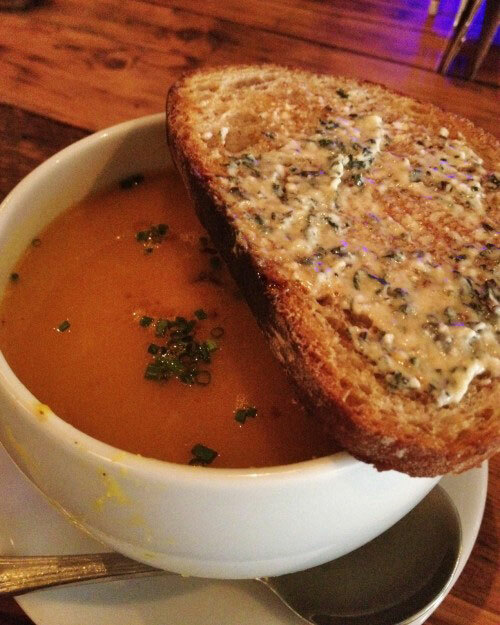 That amazing kabocha squash soup. They are having a closing party on the final day of service, Sunday, August 27, from 6-11pm. Everyone is invited to come and enjoy the Kickshaw’s exceptional food and drink, and to pay their respects to what has been one of the most interesting eateries in Astoria over the years. People have been leaving comments with fond memories of their time at Kickshaw, and you can read them here (and add your own). I won’t forget you, miso cold poached eggs. The new restaurant will open in early October, when there will be an opening week dinner to celebrate. Tickets for that are already available, which you can buy here. My guess is that they will go quick. 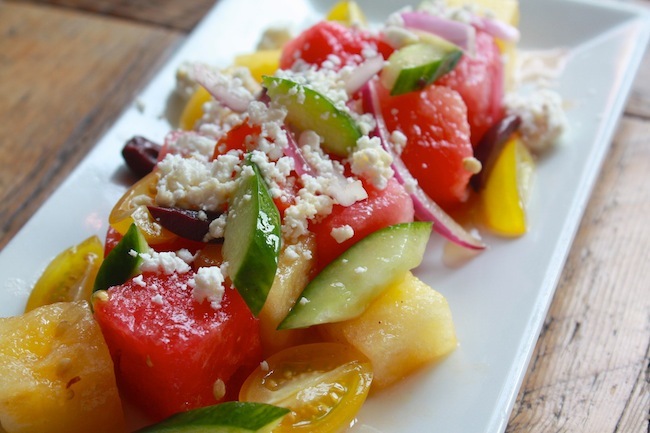 Watermelon salad of our dreams. 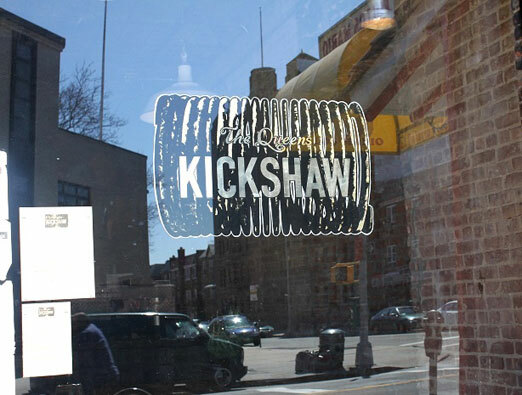 We will definitely miss the place—The Queens Kickshaw has been a favorite among WHA staff. I remember when I first tasted the Gouda sandwich and its remarkable combination of savory, sweet, and spicy. And then there was the consistently delicious tomato soup. 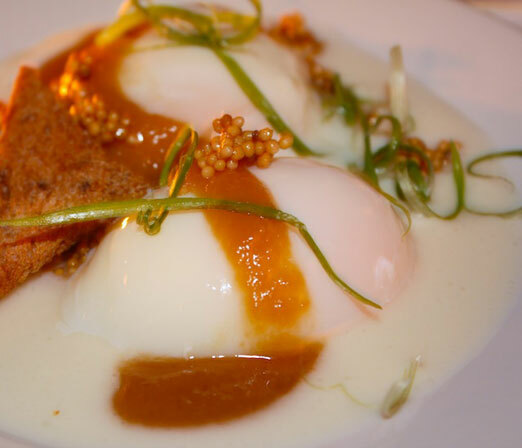 And the cold poached egg with miso butter and pickled mustard seeds. Li Hing Mui Popcorn. 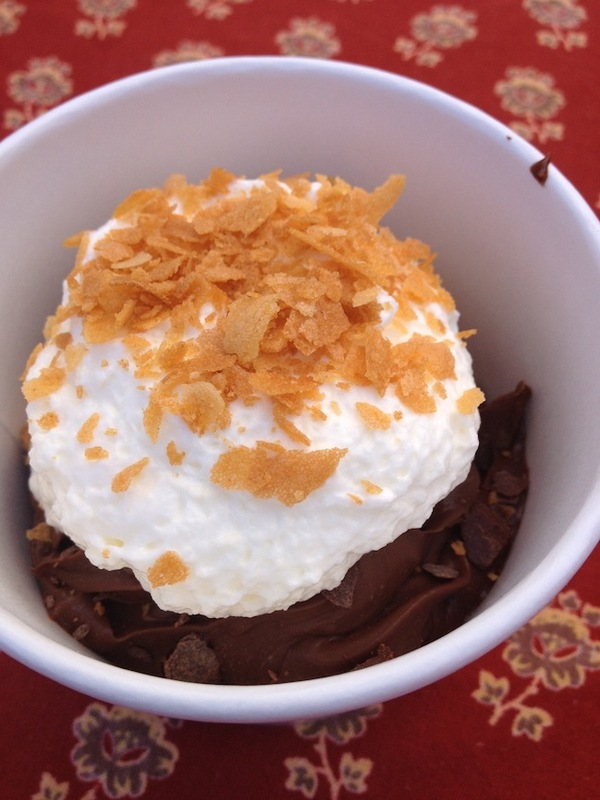 The chocolate pudding. All the cider. And some of the best coffee in the neighborhood. I could go on. We heart you, chocolate pudding! Thanks for all the wonderful food over the years, Ben and Jen and staff. We will miss The Kickshaw but can’t wait to see what you have in store for the new restaurant! It took me years to realize, as a rabid meat eater, that TQK was vegetarian. The food was that good…and they had a hell of strong curated beer / cider list too. TQK was a trailblazer in Astoria. They did things that nobody was doing anywhere in Queens, hands-down the first decent latte I tasted in the neighborhood. I love Ben & Jen and wish them well on their new endeavor!